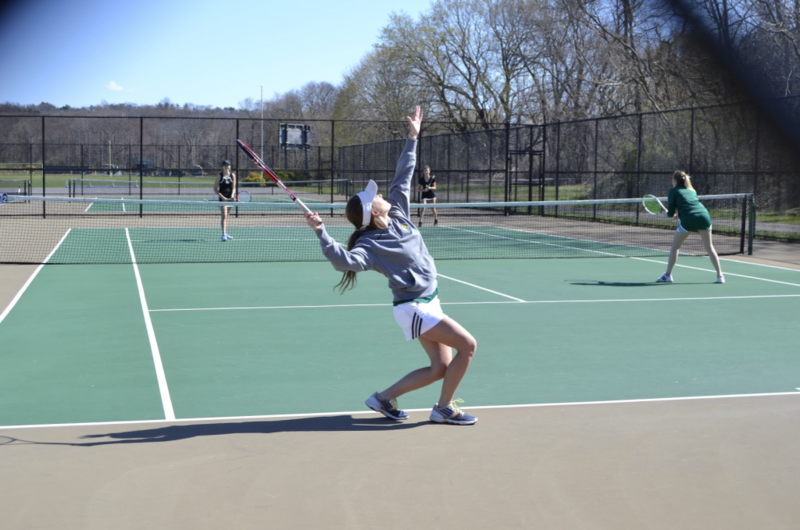 On Wednesday, April 13, the women’s tennis team opened up their spring season against Adelphi University. The Pioneers dropped a 7-2 decision at the LIU Post Tennis Courts. In singles play, the Pioneers won the first two flights, but then suffered consecutive losses in singles and doubles play. Freshman Shanice Arthur dominated in a straight set victory at the No. 1 singles, beating her opponent 6-3, 6-2. With the victory, Arthur improved her record to a team-best 9-2. Senior Didi Fatchikova followed Arthur’s victory with one of her own; earning a hard-fought 6-4 win at the No. 2 flight. In doubles play, the No. 1 pair of Fatchikova and senior Lucie Chrastecka battled and ultimately fell by a score of 8-6. At the second doubles flight, Arthur and junior Heena Kewalramani also fell.